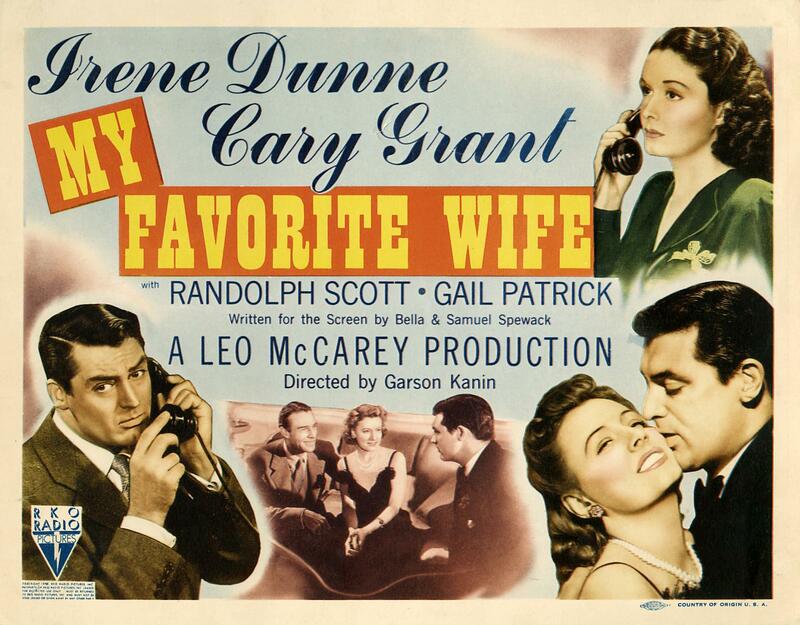 My Favorite Wife, a 1940 screwball/romantic comedy directed by Garson Kanin for RKO. After being presumed dead in a horrible accident seven years ago and spending all of those years stranded on an island, Ellen Arden has finally returned to the United States, where she hopes to reunite with her family. But she’ll soon find out that the reunion isn’t going to be a joyful one — her husband, Nick, has just married a woman named Bianca. Determined to win her husband back and regain the life she lost seven years ago, Ellen schemes to knock Bianca out of the picture. A Porky Pig short called My Favorite Duck was released to spoof this film in 1942. This film is loosely inspired by the poem “Enoch Arden” by Alfred Lord Tennyson, which tells the story of a fisherman lost at sea who returns to discover that his wife has married someone else. This poem inspired five films prior to My Favorite Wife, all of which stuck more closely to the source material. In Move Over, Darling, Ellen (Doris Day) describes the plot of My Favorite Wife while posing as a masseuse and giving Bianca a massage. 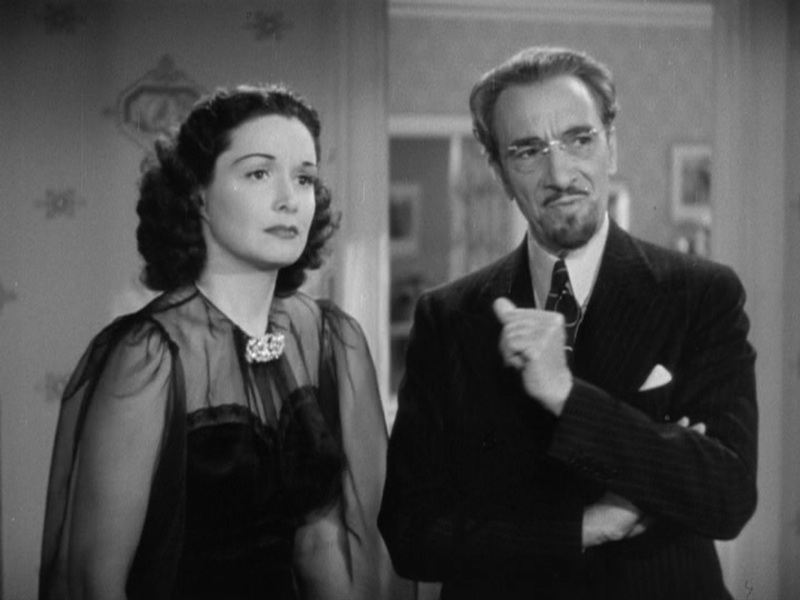 Leo McCarey was set to direct this film, and even co-wrote the script. He had to be replaced when he was injured in a car accident. 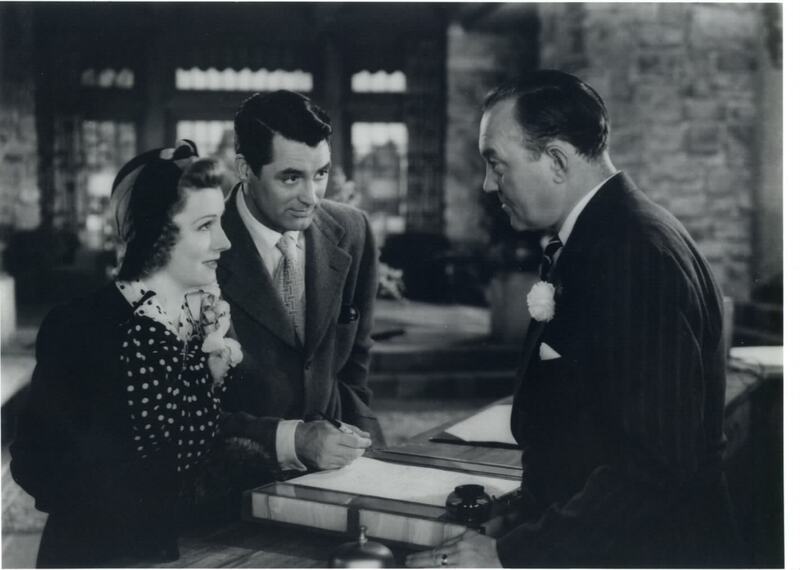 He would later direct Cary Grant in Once Upon a Honeymoon and An Affair to Remember. In the 1998 remake of The Parent Trap, Nick (Dennis Quaid), upon seeing Elizabeth (Natasha Richardson), imitates the scene in which My Favorite Wife‘s Nick (Cary Grant) sees Ellen (Irene Dunne) for the first time in seven years. 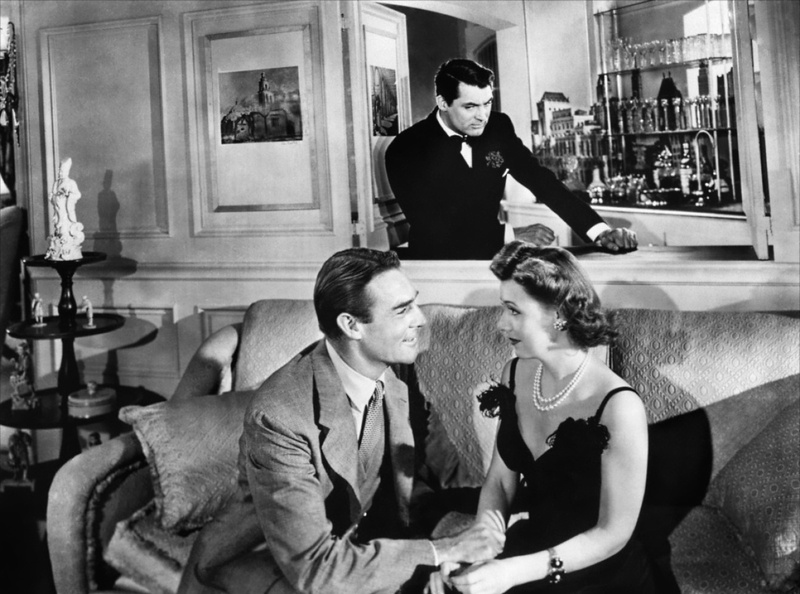 The film was nominated for three Oscars: best black and white art direction, best original score and best writing. Judge: “What do you want me to do, reverse myself? I found this movie very enjoyable, but I must admit that I found the Doris Day/James Garner 1963 remake a little funnier. Opposite for me. 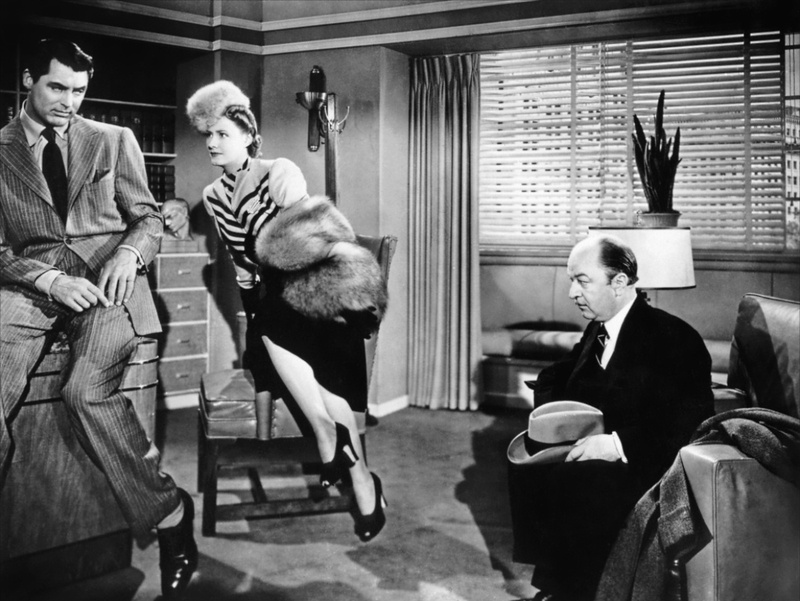 The Doris Day version (which I reviewed yesterday) was good, but not as funny in my opinion. To each their own! This is a movie a person never tires of seeing. Great “Favourites” list, too! Previous Previous post: Question time! Should Lindsey cover modern movies?